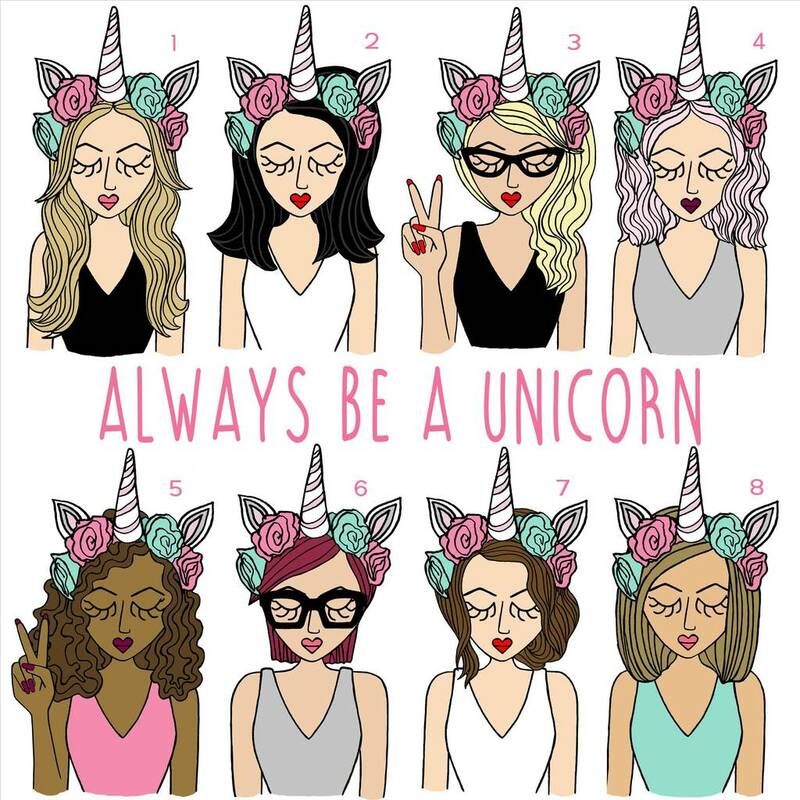 This cool gift is a great way to remind your teenage daughter to be unique or to tell your best friend you believe in her. Its a great gift that celebrates girl power and strength and attitude. 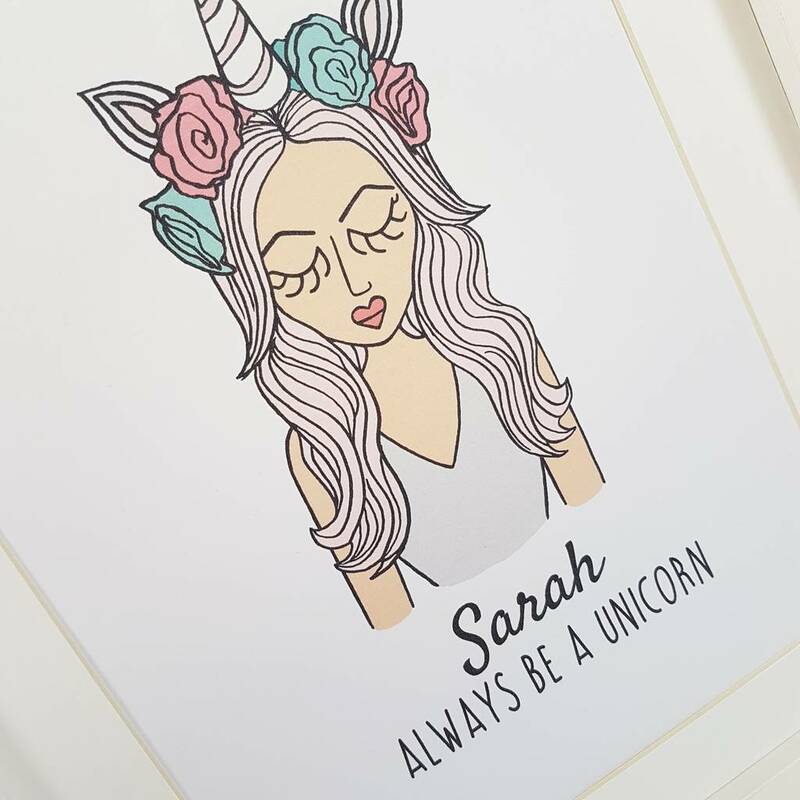 It is very easy to personalise the unicorn lady just view the different illustration options in the photos then make your selections from the drop down menus. 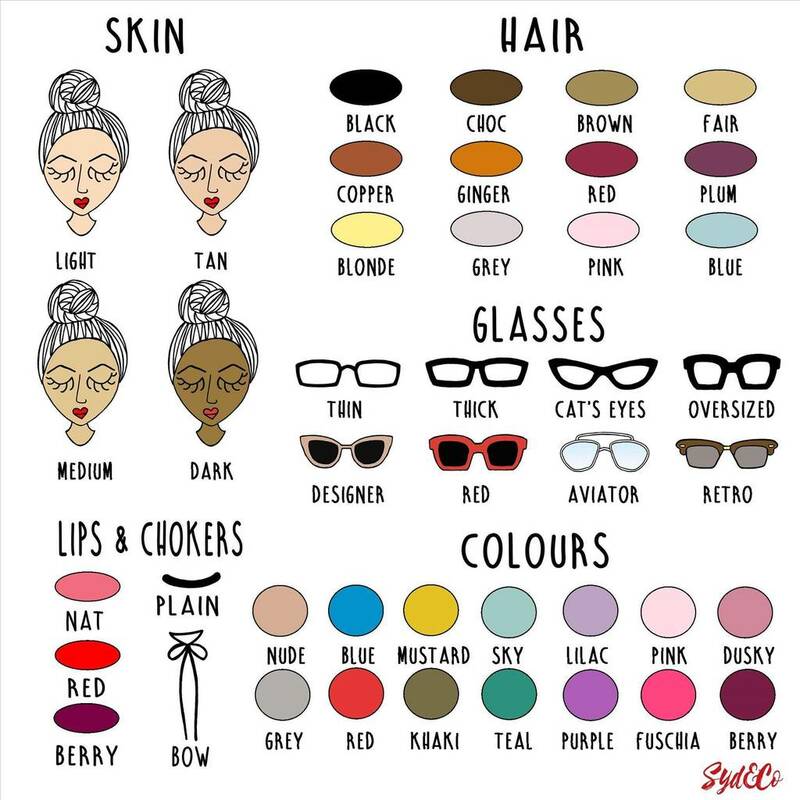 To really capture her look be sure to pick the right lipstick colour! 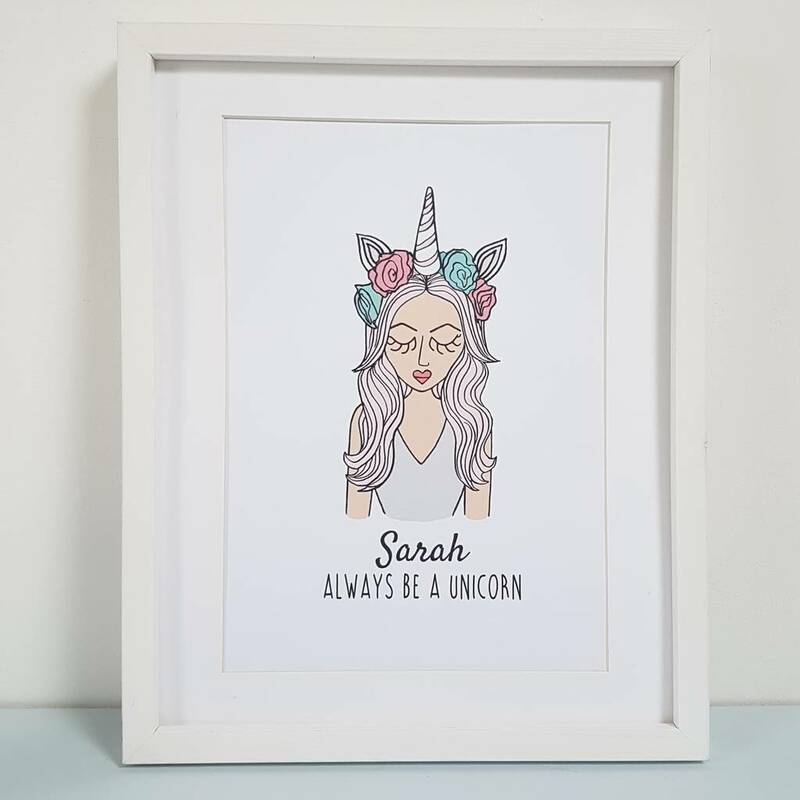 These prints come both framed and unframed and there is a choice of a white or black frame so that it can compliment any decor. They are available in two sizes. 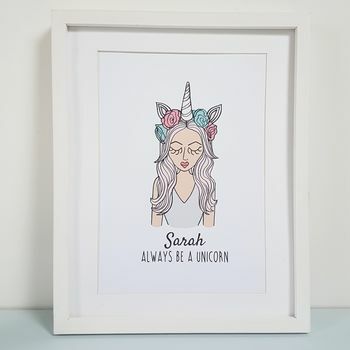 The illustration is printed onto a high quality textured card.The frame is made from wood and has a synthetic glass.